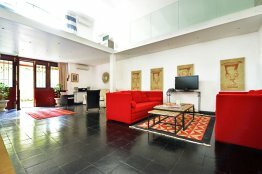 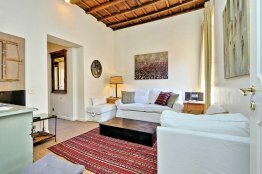 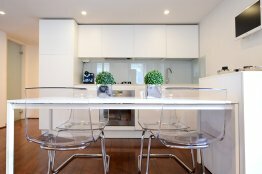 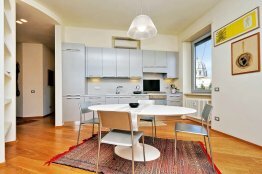 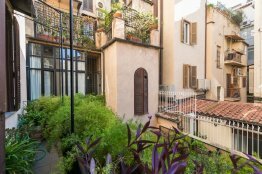 You can find this Spanish Steps luxury apartment on Via Margutta. 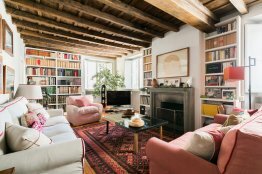 This apartment finds itself in one of Rome’s most elegant and exclusive courtyards, and this loft was once Picasso’s studio. 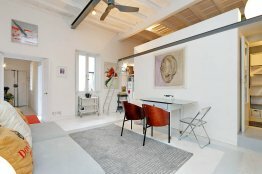 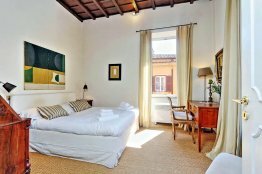 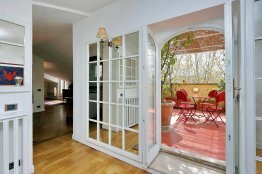 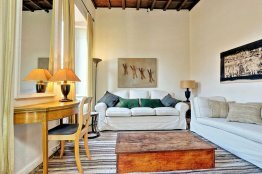 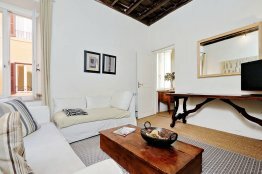 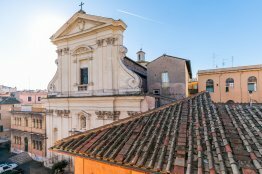 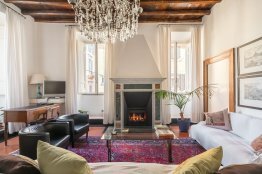 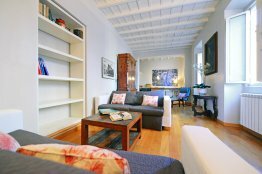 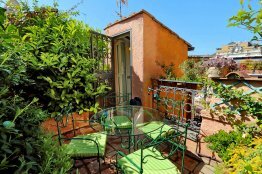 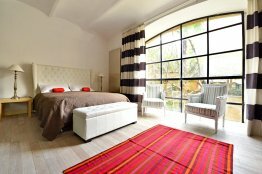 This enchanting and elegant Trastevere apartment in Rome is located on the second and last floor of a building. 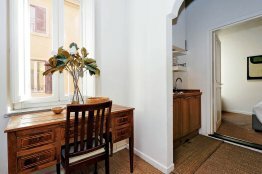 The building doesn’t have a lift. 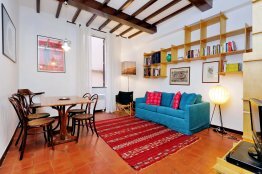 Nevertheless, this bright apartment is wonderfully quiet, because of its location on a peaceful street immersed in green. 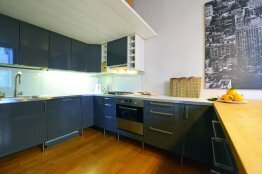 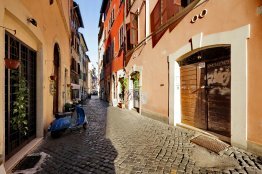 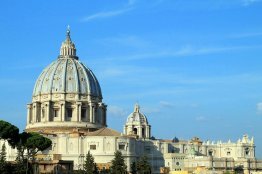 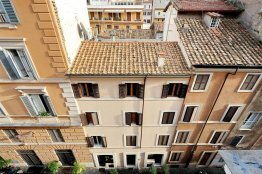 You will find this Trastevere Family Apartment for rent in Trastevere by Piazza Santa Rufina. 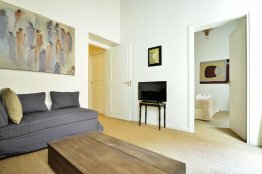 Entering the apartment and heading down the right hallway, you’ll find the living and dining area, in an open, lengthy and spacious room.